Cub Scout Belt Loop Extravaganza and I was in charge of the art belt loop. 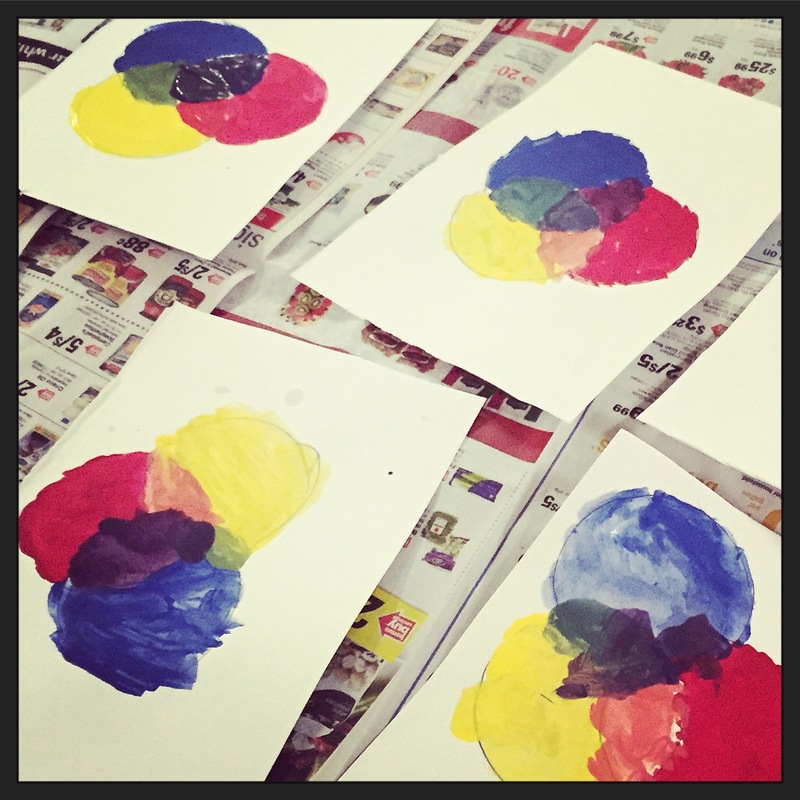 These are some of the drying color mixing paintings the cub scouts did. A fun little lesson in color theory. 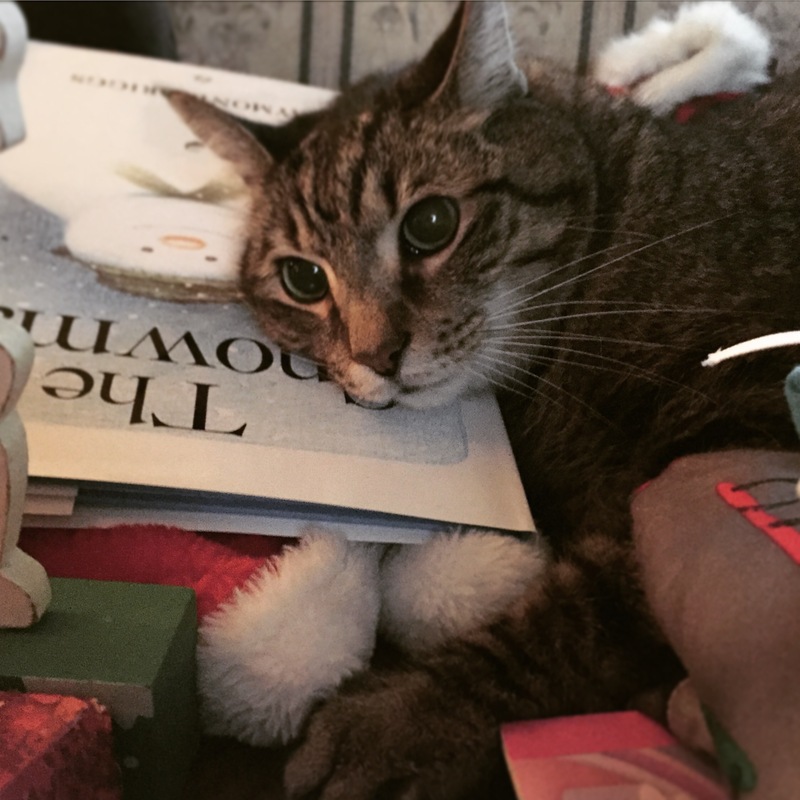 Christmas morning, after all the unwrapping, our cat Odin laid down on the coffee table amongst the gifts. He usually wants to be where the action is and he loves to lay on uncomfortable items, like scissors. I love this photo of him on the wonderful book “The Snowman”, which was a gift to my husband.